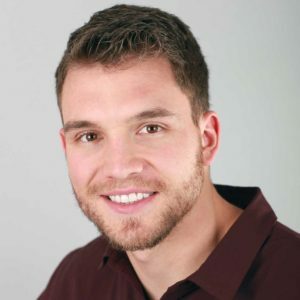 Mr. Justin Lautenbach is a Canadian Certified Physician Assistant, graduating from the Physician Assistant (PA) Program at McMaster University in 2013. Prior to his PA degree, Mr. Lautenbach attended Brock University and completed a Bachelor of Science degree in Health Sciences, graduating in 2011. Mr. Lautenbach has been employed with Dr. Alexander Rabinovich (Orthopaedic Surgeon) since November 2013. Mr. Lautenbach has developed expert knowledge and skills in Orthopaedic Surgery, including but not limited to, clinical assessments, physical examinations, imaging analysis, orthopaedic procedures and complex medical-legal assessments. Mr. Lautenbach has exceptional skills in acute and chronic orthopaedic conditions, and is able to manage them with exceptional efficiency and skill. Furthermore, Mr. Lautenbach completed the Canadian Association of Pain Management credentialing course, and has been working at the Burlington Pain Care clinic, providing pain management to patients with acute and chronic pain conditions, including advanced injection techniques, nerve blocks, trigger points and joint injections. Mr. Lautenbach exhibits the essential skills of a life-long learner, with exceptional communication skills and collaborative proficiency with patients, families and the whole team.